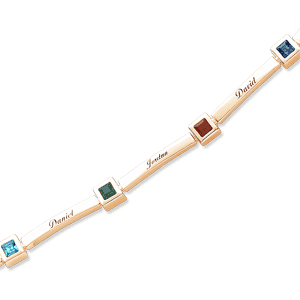 Celebrate the love that nurtures your family with this distinctive family bracelet! 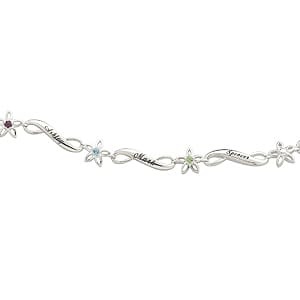 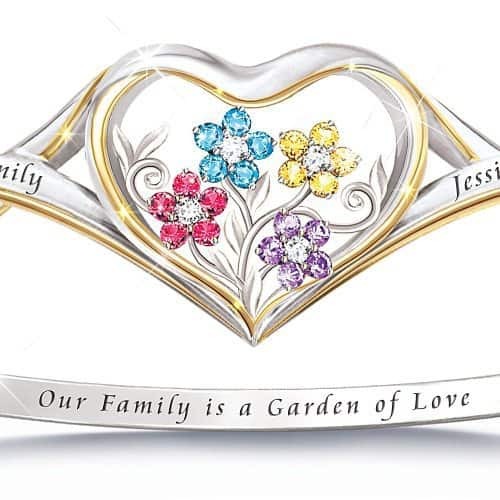 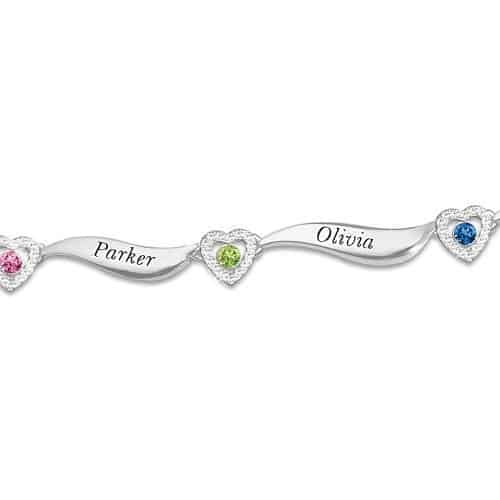 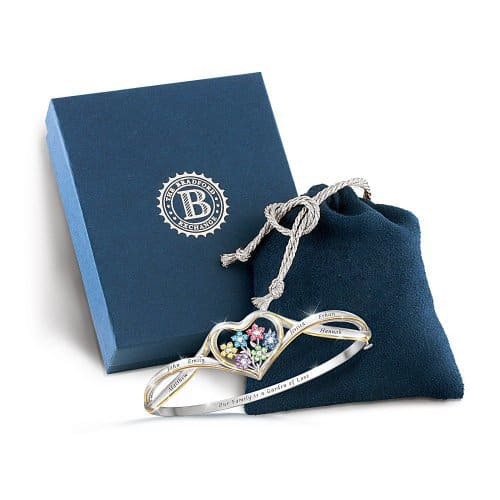 Each family member is represented with a flower-shaped birthstone and an engraved name. 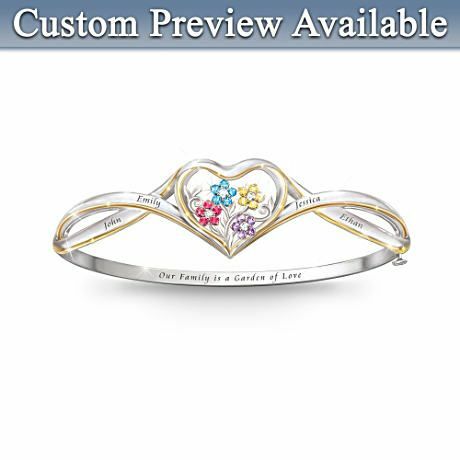 The inside of the bracelet is inscribed, “Our family is a Garden of Love“.